BTTS or both teams to score is an extremely popular football betting market with punters, and it’s one of the most straightforward, easiest to understand markets around. To win, you need both teams to score one goal or more in your selected fixture. The final outcome of the game is irrelevant – the game can finish 5-1, 5-4, 3-3, 2-1, or 1-1. As long as both teams score, the bet will be a winning one. Naturally, the best teams to look out for in the btts markets are the ones that strike that potentially lucrative sweet spot between a potent attack and a porous defence. To help you delve into those markets as a more informed bettor, we’ve complied a detailed list of clubs that rank highest for games in which both teams have scored this season. Read More: Check out the latest both teams to score betting tips here. Sky Super 6 Tips and Betting Predictions With 751,499/1 Acca! German clubs dominate the summit of our BTTS Major European Leagues rankings, with Bundesliga sides occupying 4 of the top 6 places. FC Augsburg and Hoffenheim lead the way with both teams scoring in 91% of their respective Bundesliga fixtures this season. Incidentally, Augsburg played Hoffenheim just before the international break. Unsurprisingly, both teams scored at the Wirsol Rhein-Neckar-Arena in a 2-1 victory for Hoffenheim. Barcelona make a somewhat unanticipated appearance at number 3 in our rankings. Both teams have hit the net in 83% of Los Cules La Liga fixtures this season. 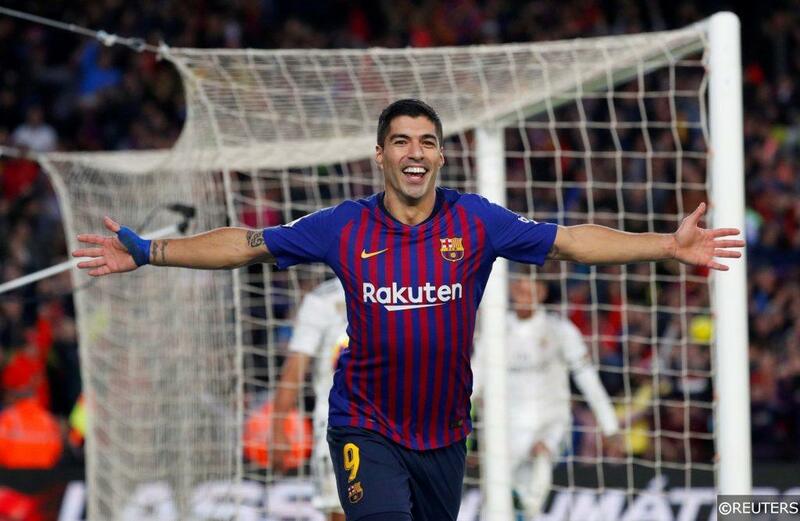 Barca started the 2018/19 with back-to-back clean sheets against Alaves and Real Valladolid, though they haven’t kept their opponents out in La Liga since. Only 5 clubs in the division have conceded more goals than Barcelona so far this season. Manchester United’s defensive frailties since the summer have been well documented. United have conceded more Premier League goals than Manchester City, Liverpool and Chelsea combined this term, though their 0-3 loss at home to Spurs on August 27th was the only Premier League match this season where they failed to score. Rennes, AC Milan, Athletic Bilbao, Arsenal, Genoa and Rayo Vallecano all have healthy BTTS percentages too and are well worth keeping an eye on when dipping your toes in that market. Athletic Bilbao’s BTTS potency is particular high when they play away from San Mames – both teams scored in 9 of their last 10 La Liga away matches in total in a sequence stretching back to last April. The Swiss Super League has been a consistent supplier of goals this season, so it’s no surprise to see 3 of the division’s clubs hovering near the top of our BTTS Other European Leagues rankings. The Swiss top flight’s over 2.5 total goals and BTTS league averages stand at a whopping 71% and 74% respectively, making it one of the leading competitions to consider in both markets. FC Basel are out on their own as the only club that has seen both teams score in 100% of their league matches in 2018/19. Remarkably, their 100% BTTS record stretches back to April 22nd – in total both teams have scored in each of their last 20 Swiss Super League fixtures. Fellow Swiss outfits, FC Thun and Lugano also rank high in our table – both teams scored in 12 of their 14 league matches this season respectively. Fortuna Sittard’s 83% figure comes in way above the Eredivisie BTTS average of just 54%, while Rio Ave’s 80% leaves the Portuguese Primeira Liga BTTS average of 49% in the dust. Both teams scored in 79% of Ural’s fixtures in the Russian Premier League so far this term – that equates to both teams scoring in 11 of their 14 fixtures since this summer. More recently, their BTTS stats have shot through the roof. Both teams managed in get on the scoresheet in 7 of their last 8 league games. Eerste Divisie strugglers Jong AZ at the league’s go-to team in the BTTS markets. Both teams scored in all but 1 of their 14 league matches this season, and Jong AZ are currently in the midst of 10-match BTTS streak that started on September 14th in their 3-2 win against Go Ahead Eagles. Coincidentally, Jong AZ lost 1-3 to Jong PSV, who sit 4th on our Minor European Leagues table, on Saturday. Both teams registered in 10 of Brescia’s 11 Serie A contests this season, while Rumleange can match that figure exactly, with both teams scoring in 91% of their 11 league matches in 2018/19. Rumelange are 1 of 3 Luxembourgian National Division clubs who made the cut in our rankings, along with UEFA Europa League minnows Dudelange and Niedercorn. Forest Green buck the League Two trend to force their way into the reckoning in 5th spot. The League Two BTTS average stands at just 49% compared to Forest Green’s 83%. The Green Army’s figure is all the more impressive when you consider that they have played 18 matches so far – the highest number of games played in our European club selections. Turkish side Kasimpasa, who featured in our over 2.5 goals article, also post an impressive 83% BTTS figure. It’s also worth pointing out that both teams scored in 8 of their most recent 9 Turkish SuperLig fixtures. Read More: How Does Football Index Work? Union Comercio have been one of the Peruvian Primera División’s most exciting teams to watch this season. The club from Nueva Cajamarca sit in a modest 8th position in the standings, though they are the division’s 4th highest scorers and the team with the 3rd worst defensive record. Both teams have hit the net in 79% of Union Comercio’s 14 games so far during their league campaign. Egyptian Premier League club Smouha rank just below the Peruvians with both teams having scored in 77% of their fixtures this term. That high percentage was boosted considerably by their recent glut of goal-filled fixtures. Both teams got on the scoresheet in 9 of Smouha’s last 10 Egyptian PL games. Mexico’s Santos Laguna, Qatar’s Umm Salal and Colombia’s Envigado FC make up the rest with 75%, 75% and 74% BTTS figures respectively. Interestingly, both teams scored in 81% of Umm Salal’s last 16 away games in a run that started all the way back in October 2017. Colombia’s Envigado FC are one of the more curious entries in our BTTS rankings. Both teams scored in 14 of their 19 Categoría Primera A matches this season, and Envigado both scored and conceded 19 goals over the course of their 19-game campaign. Just 4 of their 19 league fixtures finished 1-1 however. Make sure to check out our guide on the best teams to bet on in the over 2.5 total goal markets here. Categories: Betting Strategy, Blog, and Football. Tags: betting advice, betting strategy, betting tips, both teams to score, and btts. Sports: Football.